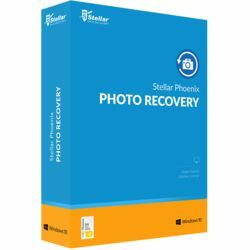 Stellar Phoenix Photo Recovery software is the best multimedia (image, audio, and video) data recovery tool of choice for millions of users across the globe. The software has won strong recommendations and accolades for its efficient to recover your memorable photos, music files, videos from you windows and a variety of windows supported storage devices, such as digital cameras, external USB drives, memory cards, SD card, pen drives, and Flash Drives etc. The software supports almost all multimedia file formats, including the digital camera image formats for recovery. The software has a new glossy & enhanced user interface which does not require any assistance of an expert or prior training of the software to perform photo recovery. The software supports recovery of variety of images, videos, audios, Unicode fonts, HD MOV Adobe EPS (Mac) and is compatible with all major camera brands to recover their lost/deleted/formatted photos and videos. Recovery of photos from cameras, SD cards, Micro SD card, USB flash drives, hard drives, Mobile Phones and more.